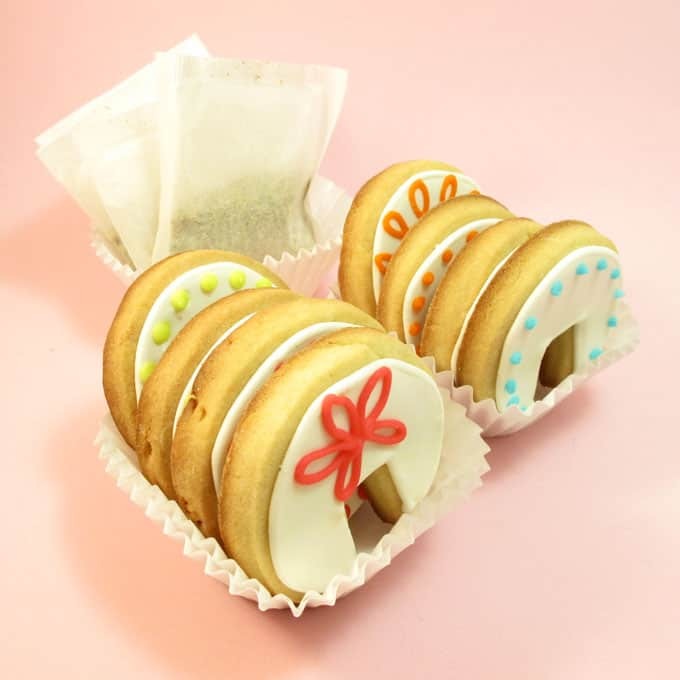 Tea cookies: Over-the-rim decorated cookies for a mug of tea. 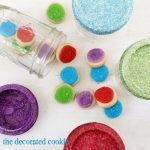 How to make over the rim decorated tea cookies for a Mother’s Day cookie gift idea. I feel like I’ve been seeing these over-the-rim cookies popping up everywhere. Naturally, I wanted to try and make them. 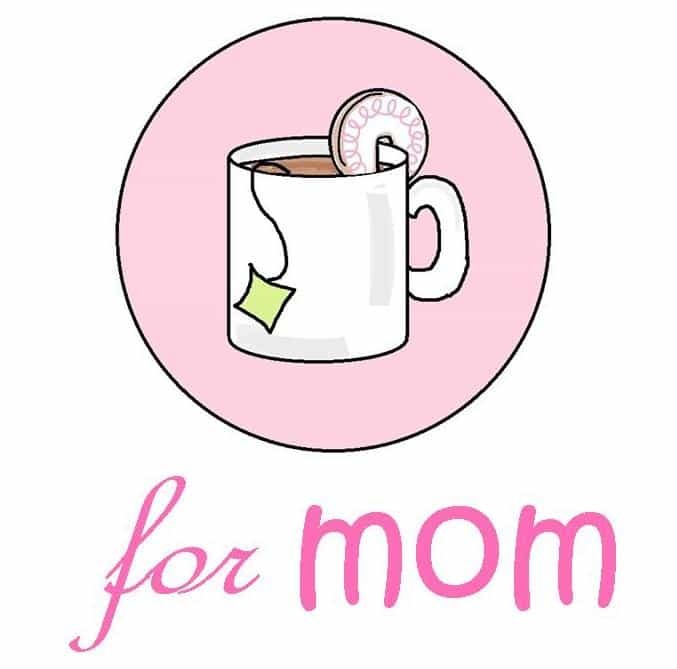 Here’s a Mother’s Day gift idea for the tea and/or coffee and/or milk drinker: tea and dunkable cookies, or, over-the-rim tea cookies for mom’s hot drink of choice. *Find most of the above at the craft store, though for coloring, I prefer Americolor Soft Gel Pastes. Use any colors you like, but I used Bright White background and Electric Pink, Orange, Sky Blue and Electric Green for details. You’ll need one bag, coupler, tip and rubber band per color. 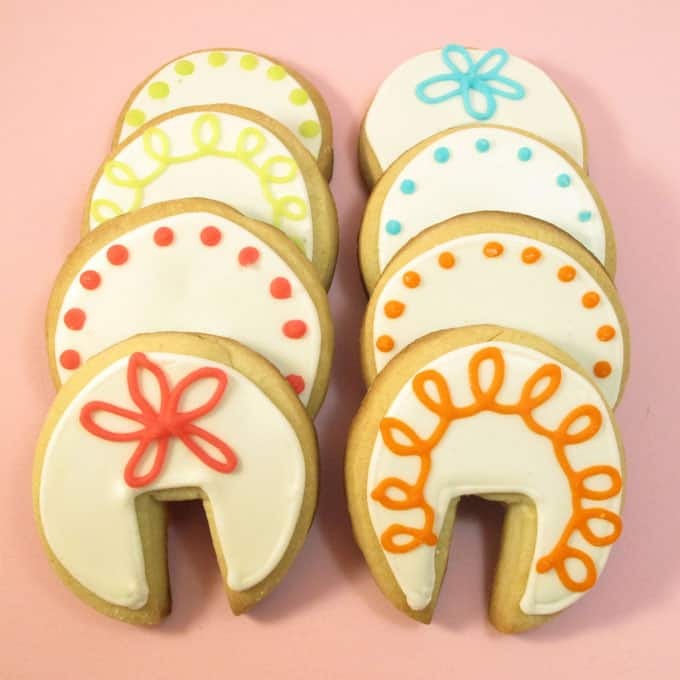 For tips on cookie decorating finding supplies, click HERE. Make and chill dough according to recipe. Roll out and cut out circles. With knife, cut out slit (I made mine about 3/8 inch wide and about 1 inch to the center of the cookie. 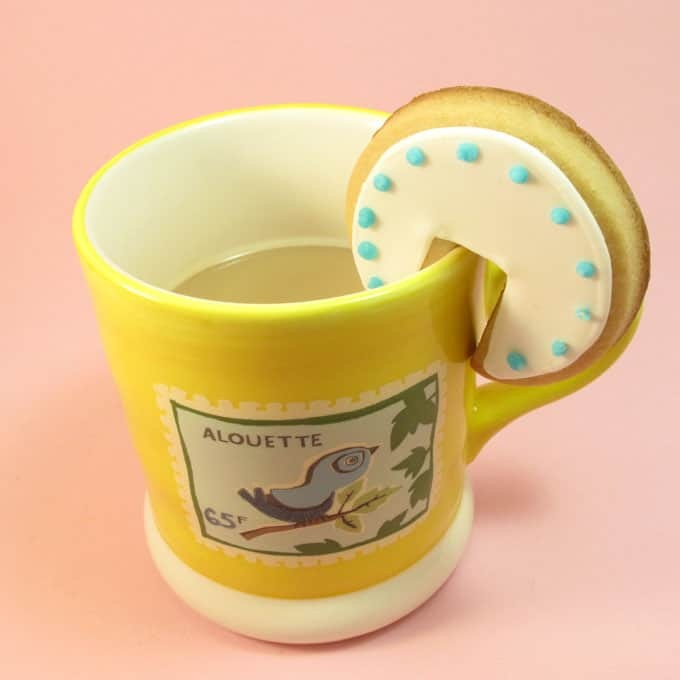 Some of mine leaned forward a bit on the rim of the mug, so I probably should’ve cut them a bit further up.) Bake according to recipe and let cool. 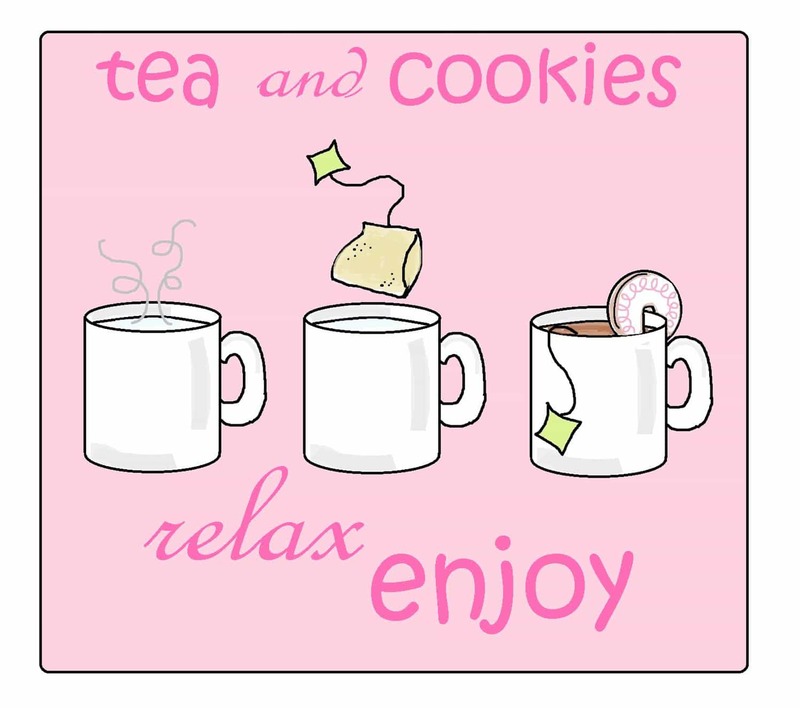 To flood the background, pipe an outline around the cookie, being sure to also pipe around the slit. Let set about 15 minutes. Thin the reserved frosting of the same color with water, a few drops at a time, until the consistency of very thick glue. 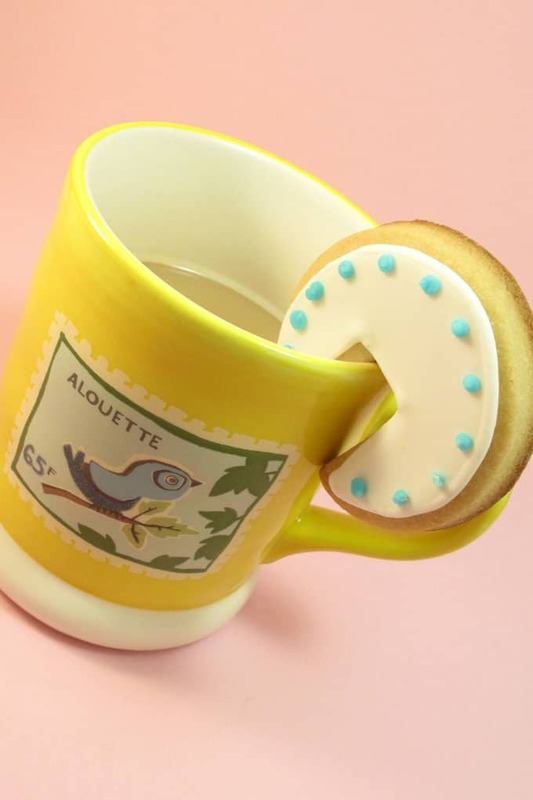 With a small spoon or squeeze bottle, pour some on the cookie inside the outline. Let flood to edges, encouraging with the back of the spoon if needed. Let set well, at least a couple hours, or even overnight. Pipe details with the rest of the colors. Let cookies dry overnight. these are so adorable. what a cool idea! LOVE LOVE LOVE this idea! Why can't I ever think of anything this cute and useful? I'm going to make them for a coffee I'm hosting this week! Guess what I will now be giving teachers as their end of the year presents? GREAT idea!!! Oh, you guys are way too nice to me! what a great idea! this might be just what i needed to give away as party favors. cute! 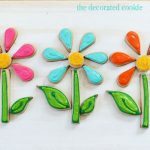 I saw similar cookies on I am Baker for valentines day. So Cute! Ive never seen these before…an adorable idea. thanks! I love i am baker! She's the cleverest. I don't remember the Valentine's cookies, so I'll go search! I've also seen a gingerbread house version at not martha for Christmas. It was incredible… I can't remember where else I've seen them… Martha maybe? Sadly I have never seen these before…but I LOVE them. Thanks for sharing! I have NEVER seen these!!! How stinkin cute are they?! 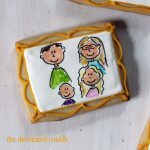 !……we were BIG cookie dunkers growing up…and my kids would always get up on grandpa's lap to dunk cookies in coffee with him……..now that he's gone it's one of their fondest memories of their grandpa!! I bet my mom would LOVE these!! These are cute. I saw this idea on I am Baker as well. so cute! such a brilliant idea! Super cute idea! 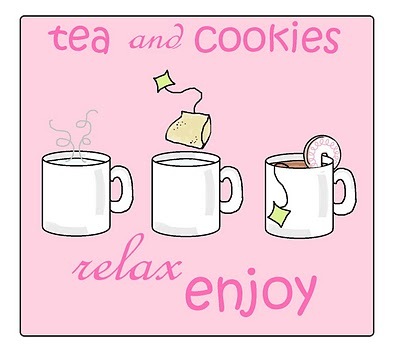 Your cookies are always amazing! I love how you sketch out step by step instructions! Ooh I love these! Thanks so much, I'll be linking. Very cute idea, I love it! 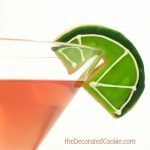 I saw these featured on another blog…I should have KNOWN they were yours! Such a sweet idea for a Mother's Day tea!